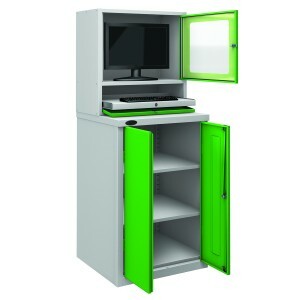 This unique wipe board workstation is designed and built in the UK to the highest standards. 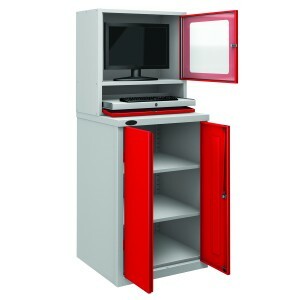 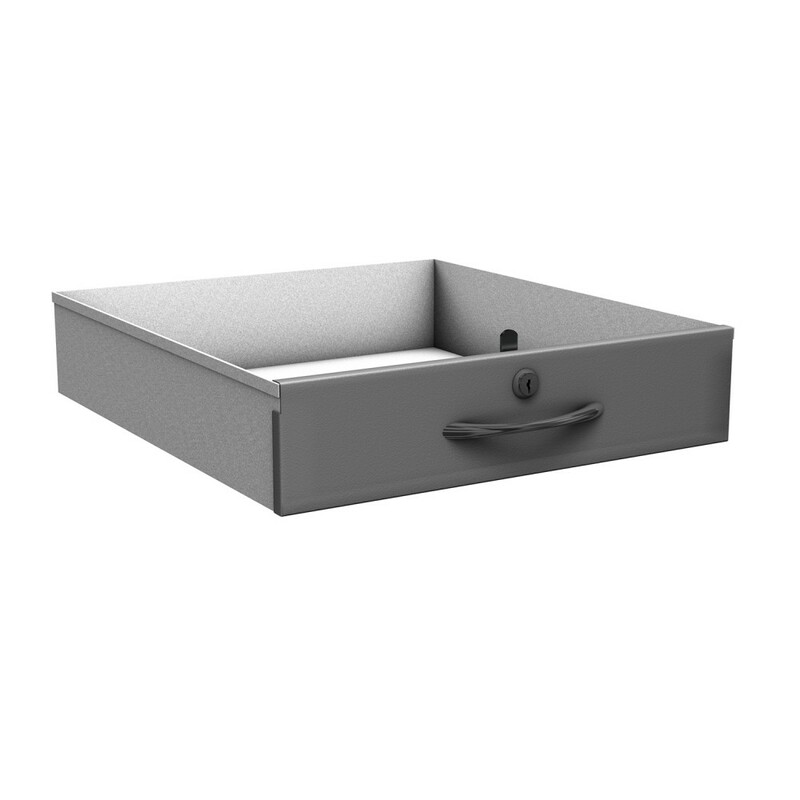 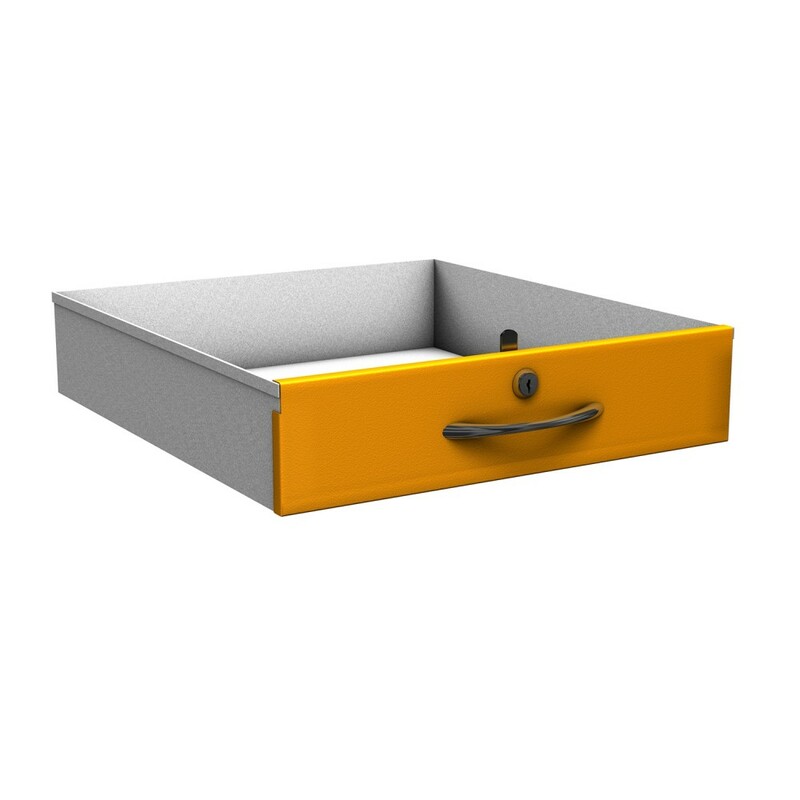 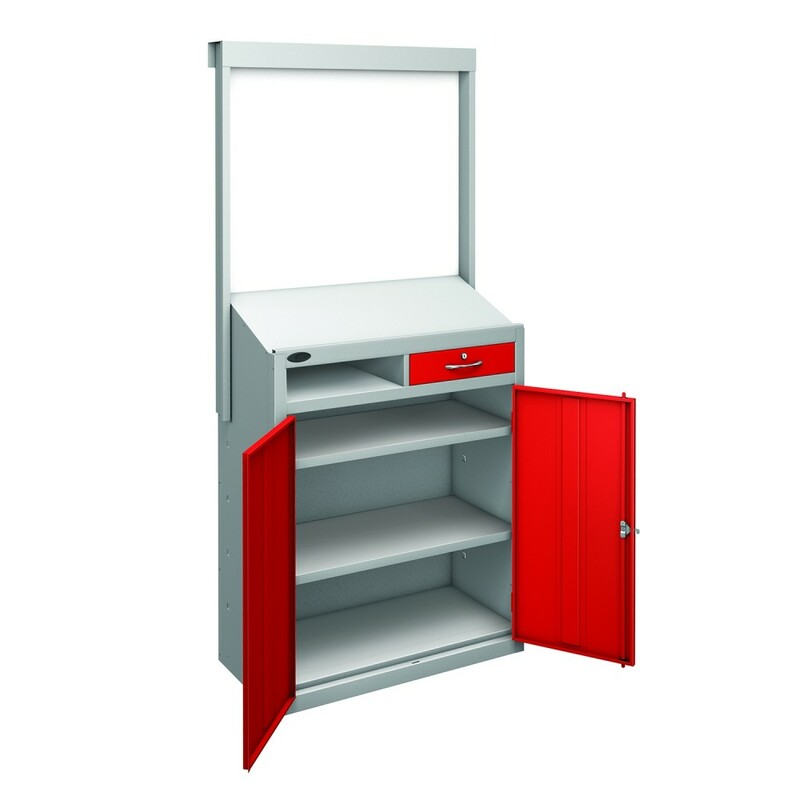 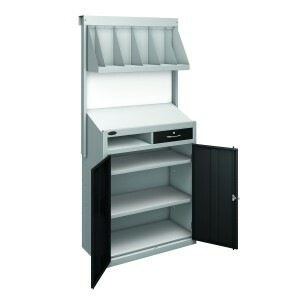 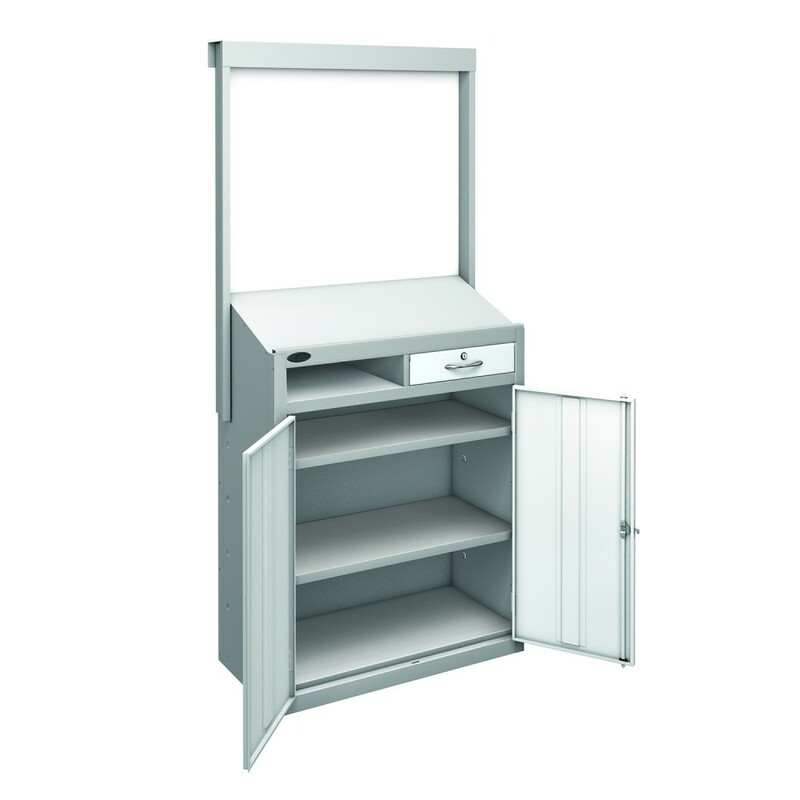 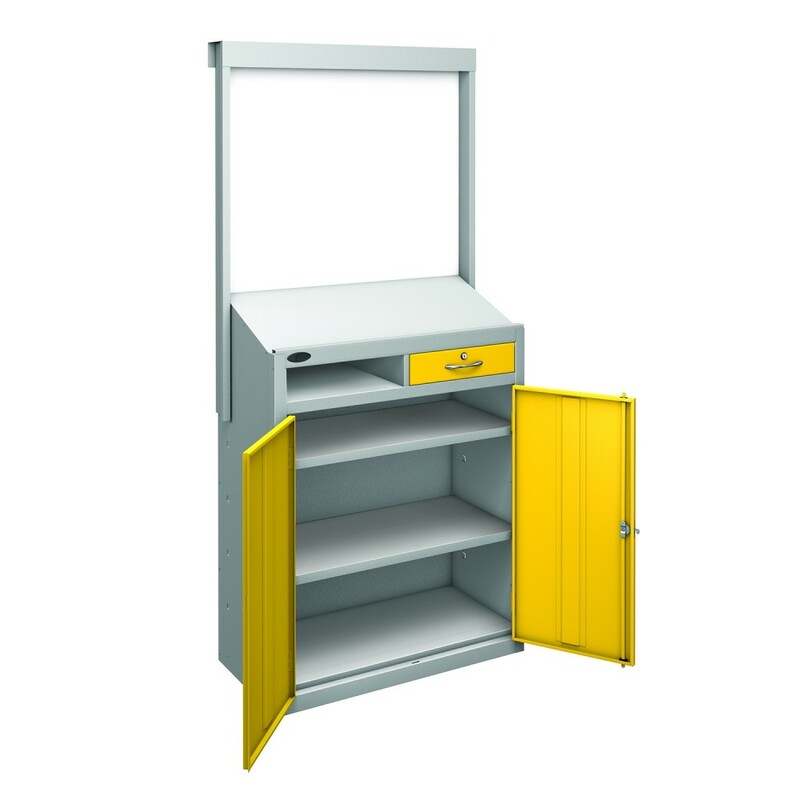 With an extremely functional design, this quality workstation is equipped with a large wipe clean white board and provides ample storage in the cupboard (supplied with 2 adjustable shelves) and two additional compartments above the cupboard - you can even add drawers to fit in these compartments (not supplied as standard). 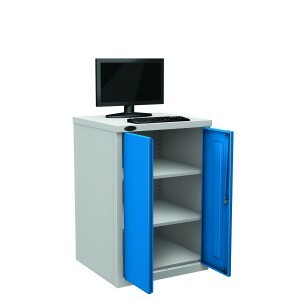 With a high quality steel construction, these superb workstations are manufactured to the highest standards - the steel is chemically cleaned to ensure a quality coating of iron phosphate for anti-rusting and a final anti-bacterial powder coating to provide a smooth and hygienic surface for even the most stringent environments. 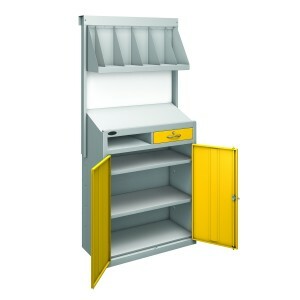 For further details or a quote, please CONTACT US for friendly advise and a great quote.